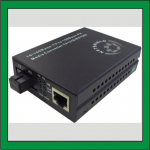 We stock only the best in international bridging- and Industrial- Ethernet media converters. These ranges are of the highest quality and will meet your networking, video and industrial needs. With the simple deployment of our inexpensive media converters, you can convert the older areas in your network to fibre. How? 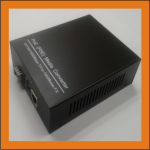 With a media converter you change the signal on the network from a copper signal to fibre without making any other changes to the network. 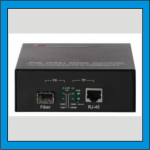 Customers who would consider the use of a media converter are those who need to extend the limit or length of a network, require a non-conductive link, require a multi-port copper to fiber link and lastly Power over Ethernet. Bearing in mind that copper can only really extend to 100 meters, fiber is more flexible and allows for much longer ranges. Using Multi Mode fiber, the range is extended to 2km and on Single Mode fiber, the range can be extended up to 120km. 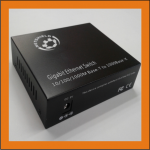 It is also a good alternative for customers where their ports are copper but devices are all fibre, as well as for companies undecided about the future of their network and need a quick fix / inexpensive solution to help their network act like a fibre network. 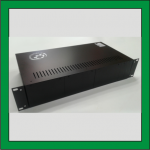 At Netshield, we stock top notch bridging converters of the highest quality that will meet all your networking, video and industrial needs. 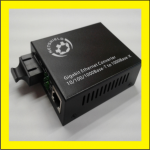 There is the option of One to One Managed FE/GE Fiber Media Converters whereby the 10/100M or 10/100/1000M IEEE802.3ah OAM manageable Ethernet fiber media converter can supervise the real time situation of the remote manageable fiber media converter and set the functions. With this system, the response speed of the operator is quickened, the daily maintenance and network expenditure of the operators are reduced, and the serving quality of them is enhanced. 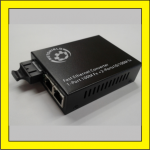 N-MAN-MC1110-SFP Table Top 10/100/1000Base-TX to 1000Base-FX SFP-Slot IEEE802.3ah OAM SNMP manageable Ethernet fiber media converter. N-MAN-MC1110R-SFP Rack Mount 10/100/1000Base-TX to 1000Base-FX SFP-Slot IEEE802.3ah OAM SNMP manageable Ethernet fiber media converter. 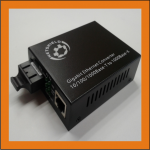 The Netshield PoE Media Converters transparently connects copper to fiber while providing Power over Ethernet ( PoE ) to standards-based PoE and PoE+ compliant devices such as IP cameras, VoIP phones and wireless access points. The Netshield bi-directional media converter range requires only a single strand of fibre to send/receive by transmitting on both 1310nm and 1550nm wavelengths.